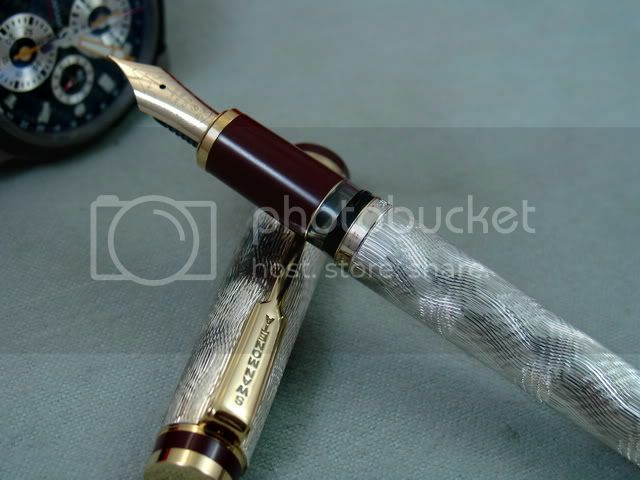 The Swan Pen Company was one of the oldest pen company in Japan, established in 1900 by Nobuo Itou. At one time, they have the 60% of the Japanese market. They never recovered after WWII when their factories were destroyed. 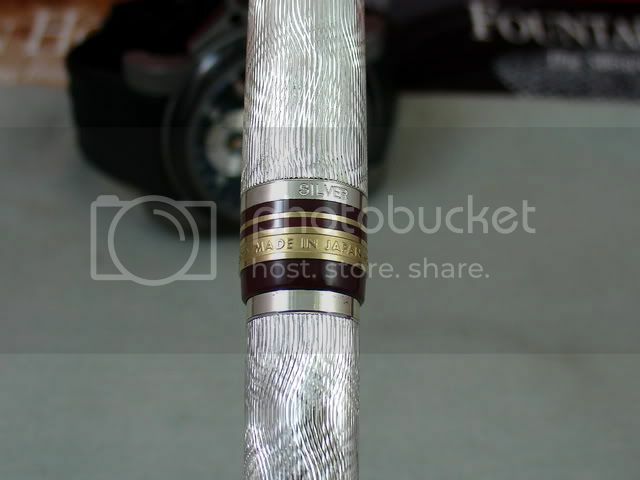 They attempted revival in 1980s and in 1991 produced these superb "Moneta" models in solid gold, gold plate and silver. 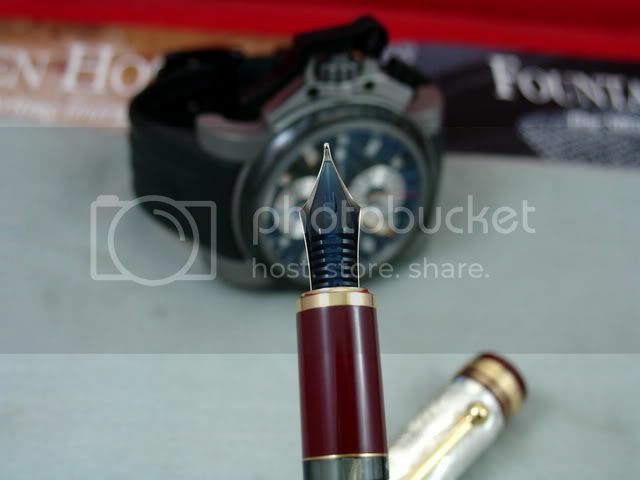 You can read about this company in "Fountain Pens of the World" by Mr. Lambrou, page 351-352. These are the sterling Swan "Moneta". 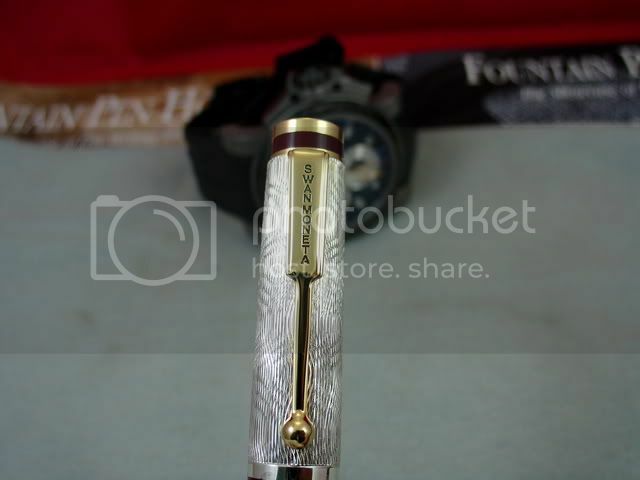 If you are familiar with Pilot/Namiki's pump filler mechanism, then you should have no problem using this pen. 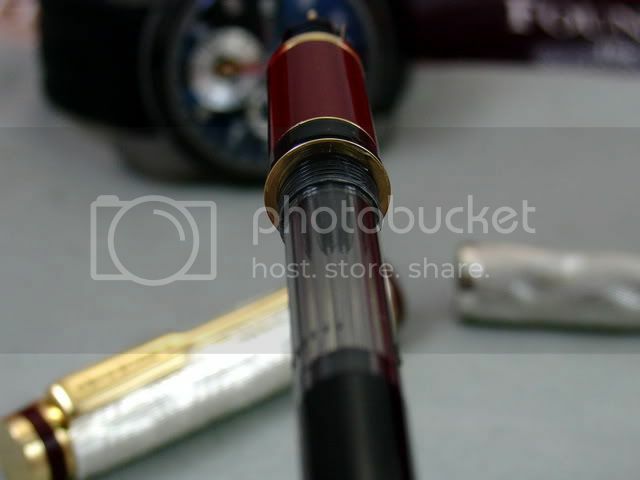 The pen is unique to have a integrated pump filler with ink window. 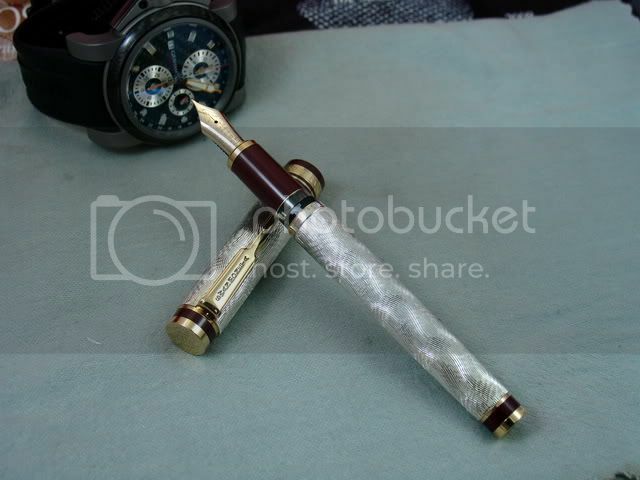 The pen is New Old Stock and is unused/uninked. It will comes with a generic box, no papers. 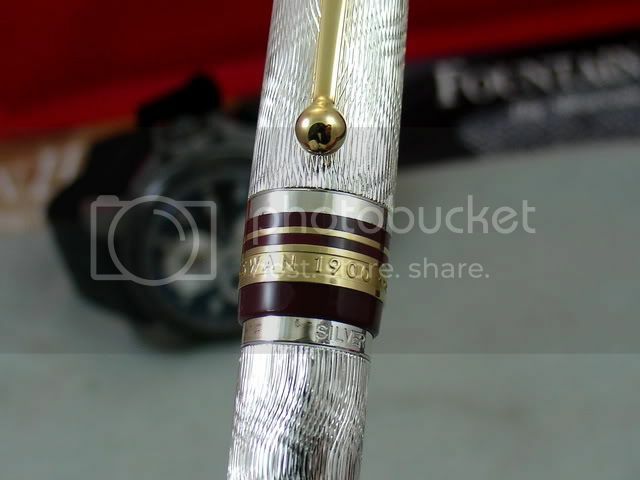 The Swan Pen Company of Japan had ceased its operation, so own part of the pen history by owning this last known production model by this company. 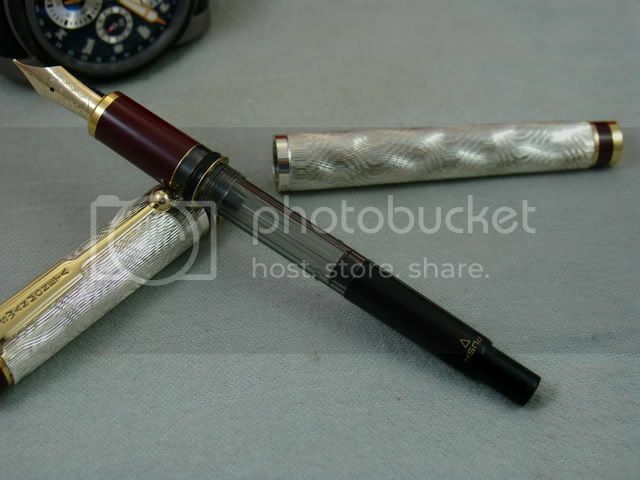 The pen measures 5.6" closed, 5" from tip of the nib to end of barrel, 6.1" posted. 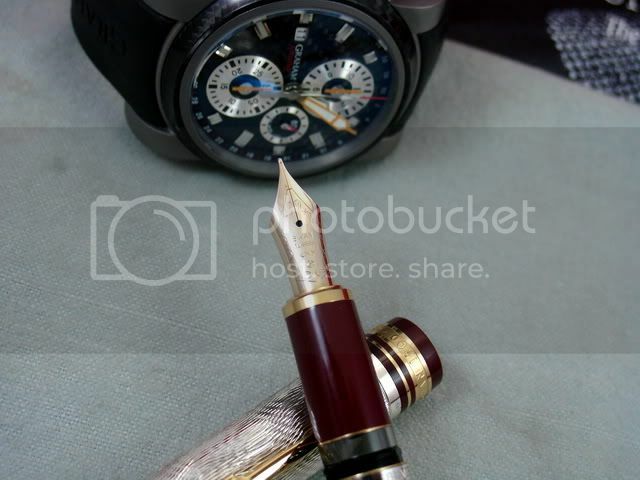 Nib is 14kt gold MEDIUM with nice springs to it. 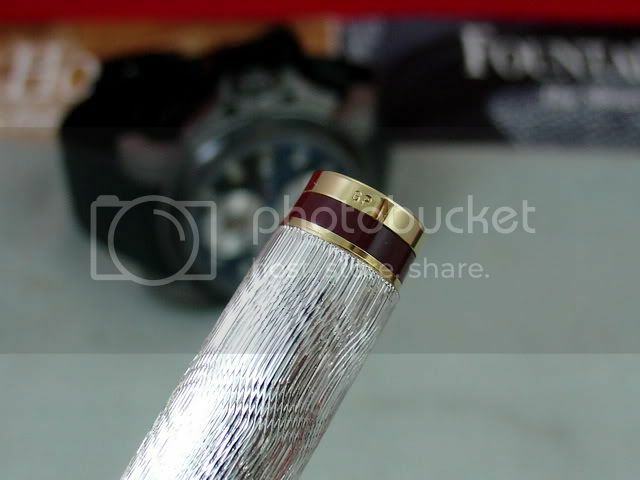 Trims are gold plate and marked as "GP". 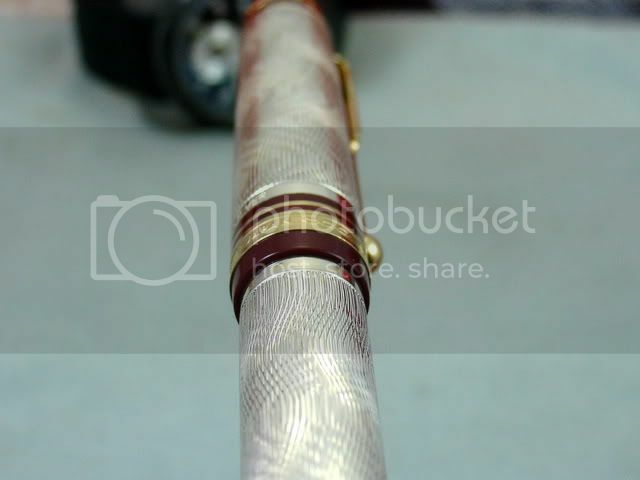 Cap and body are of sterling silver with nice wavy Guiloche pattern. Pen weights 1.4 oz posted and 0.9 oz unposted. 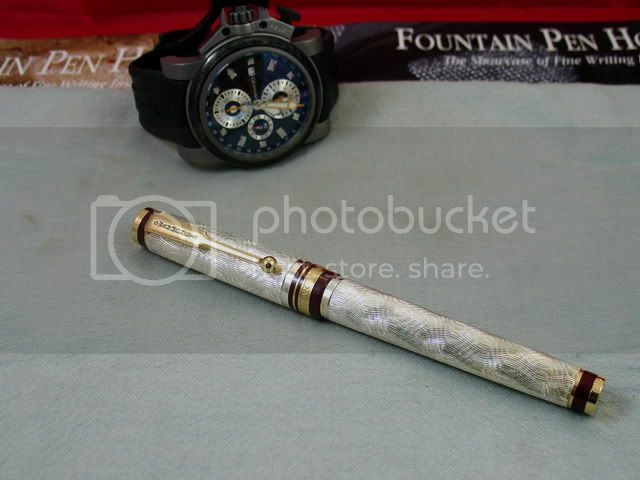 Not too heavy for a precious metal pen.